Is a visit to one of the Pensacola Bay area beaches in your future? Putting a little thought into what you bring to the beach can make your stay more enjoyable. With a well-packed beach bag and knowledge of beach rules and safety, you’ll be ready to explore the beaches in Pensacola. Other items I recommend grabbing are a cooler for drinks and snacks, beach chairs, toys for the kids, a good book or magazine for the adults, and floats for wading. Green flag – Conditions are calm. Swim with usual caution. Yellow flag – This represents moderate surf and currents. Swim with extra caution. Red flag – This means high surf and dangerous currents. No swimming or wading is allowed in the Gulf of Mexico. Double red flag – Only used during hurricanes or natural disasters, this indicates the water is closed to the public. No swimming, wading or surfing is allowed in the Gulf of Mexico. 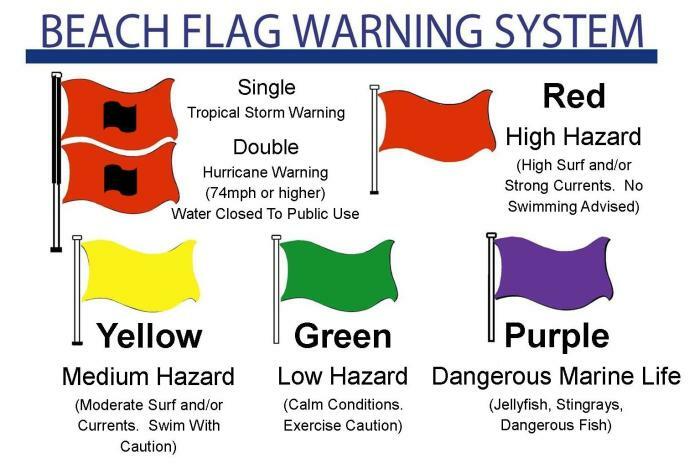 Current flag colors and surf conditions are also accessible online at pensacolabeachlifeguards.com. Most importantly, know how to swim if you are going into the Gulf. Lifeguards are located at various points along Pensacola Beach daily from May through September. In case of emergency, notify a lifeguard or call 911. Our family’s rule: If you carry it to the beach, you have to carry it back from the beach. Dogs are welcome at designated dog beaches only. 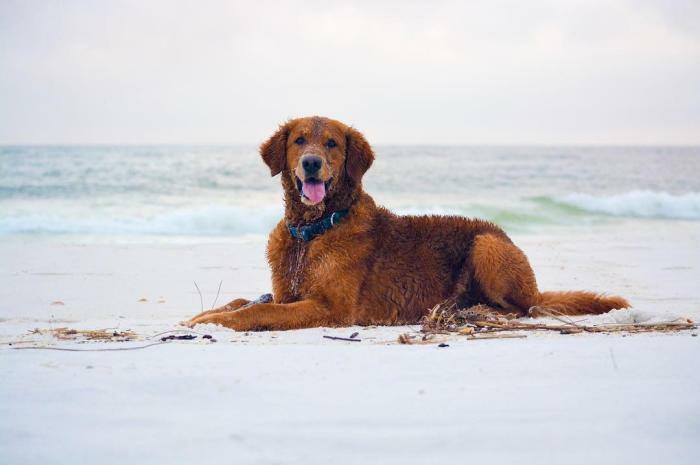 You’ll find two dog beaches at Pensacola Beach for dogs on leashes and their owners. Perdido Key has a designated space for dogs to play off leash. As always, please be courteous and remove pet waste. Motorized vehicles, generators, grills and open flames are prohibited on the beach, as well. If this seems like a lot of rules, the easiest thing to remember is: Leave Only Your Footprints Behind. If you follow that advice, you will help to preserve the natural beauty of the beaches and ensure that all residents and guests can have an enjoyable experience.